Out of many flowers patterns, you will love this one for its intriguing appearance. I would recommend it as a table decoration, but you can use it as a finish for other crafts as well. Try to make them in different colors. It looks a bit complicated, but the video tutorial is very clear and easy to follow. The link to the free pattern is below. 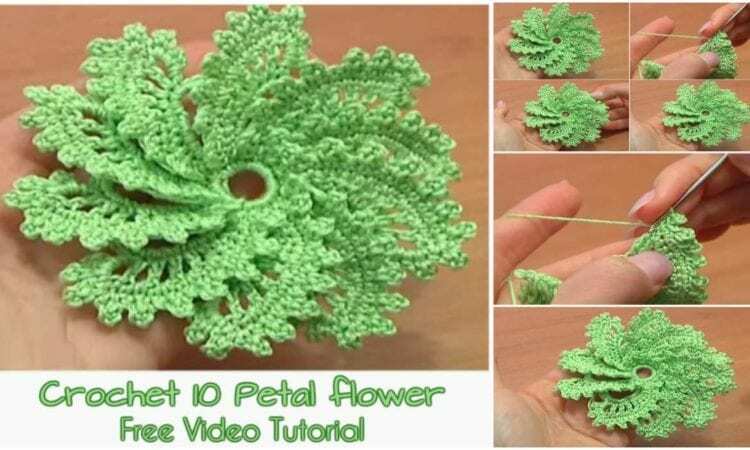 How To Crochet 10 Petal Flower – Free Video Tutorial is here. Don’t forget to Like us on Facebook. For more ideas and free crochet patterns join our Facebook group.